Speaking at Walter Benjamin Now, an event at Whitechapel Gallery marking the 75th anniversary of Benjamin's death, Esther Leslie thinks through Benjamin's concepts, in particular the ‘microcosm’, to reflect on the contemporary migrant crisis at the borders of Fortress Europe. These ‘millions of nameless movers’ give Benjamin’s own death a contemporary resonance, as well as endowing his memorial with new meaning in ‘the Now’. 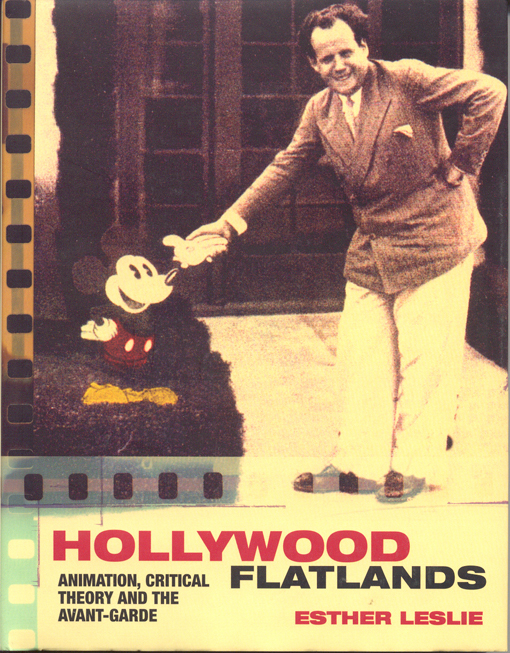 Esther Leslie is a translator of Walter Benjamin’s ‘The Storyteller’ and author of ‘Hollywood Flatlands: Animation, Critical Theory and the Avant-Garde’. 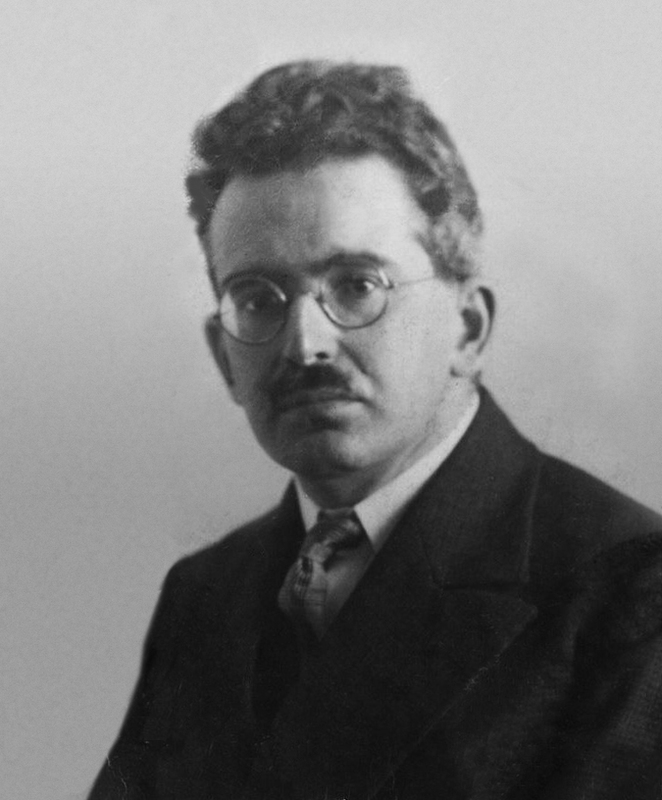 Was Walter Benjamin a refugee or a migrant? Would he be considered as one or the other today? Is this what it means to actualise, to make contemporary, to bring Walter Benjamin into the Now? Perhaps. At least it sheds a certain historical light on the political - or the other way round, a political light on the historical. Walter Benjamin was a migrant. He began to dislodge himself from Germany in 1927, seeking other homes – Moscow, Ibiza, Denmark, Italy. He went back to work in Germany, jobbing, working on the radio, for newspapers and reviews. These lines come from Benjamin’s review of Dolf Sternberger’s Panorama, or Views of the Nineteenth Century. Here he observes how a late-nineteenth-century petty-bourgeoisie, under the influence of Adolf Stoecker, the progenitor of Jewish conspiracy theories that bemoan the influence of Jewish capital, ‘entered into an apprenticeship to the powers-that-be, one which has been revived and extended under National Socialism’ and how the ‘middle bourgeois strata’ relinquished political power, so that the ‘way was cleared for monopoly capitalism, and with it the national renewal’. I had been worrying for some time about the long-delayed arrival of your letter, as you can imagine, when I came across a passage in Regius just before hearing from you. Under the title ‘Waiting’ it reads as follows: ‘Most people wait for a letter every morning. That no letter arrives - or, if one does arrive, it contains only a rejection of some kind - generally holds true for those who are sad already’. When I came across this passage, I already felt sad enough to take it as a foretaste or presentiment of your own letter. If, ultimately, there was something encouraging for me in the letter (I say nothing about the unchanged perspective it expresses) then it is in the fact that your objections, however staunchly they may be shared by other friends, should not be interpreted as a rejection. If there is melancholy and anxiety in Benjamin’s life, then it is to be located here, quite concretely, in the difficulties of getting published, and the attendant fear of poverty. 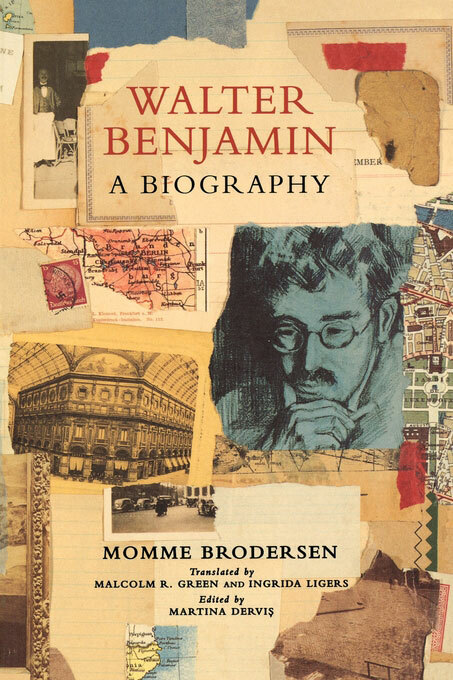 Benjamin lists the reasons for his sadness in this letter – the situation of the Jews in Germany, his sister’s hopeless prognosis of disease, his fear that he may not become naturalised in France, for political reasons, which compelled him to adopt yet another writer’s pseudonym. He took steps to mitigate these disappointments and obstructions by moving on, seeking new homes, and new kindnesses for the migrant, who took up invitations when he could. The little composure that people in my circles were able to muster in the face of the new regime was rapidly spent and one realises that the air is hardly fit to breathe any more – a condition of course which loses all significance as one is being strangled. This above all economically. The economic agony that Benjamin had long known, given his inabilities to secure anything beyond precarious work, continued – though added to it was a fear of violence and delegitimation. The migrant turns refugee – though the experience is little different. More moves. More countries. More kindnesses, or their absence. More seeking. In seven years of exile in different parts of Europe he – the copious letter writer and receiver - has 28 changes of address. Brecht emphasises this poem Benjamin’s capacities of observation – ‘observing the rise of the enemy’, ‘you saw all of that’ – rather than ‘All this was plain to you’. Observing the enemy, as it grows in strength, darkens the future, piles up its arms for war. It is those powers of observation that continue to make Benjamin fascinating. It is he whose every little utterance seems to work microcosmically, condensing energies, both negative and positive, his reconstruction of a thing, an event, a gesture annexes that observed thing or word or moment to the entirety of world history and possible futures. Benjamin fashions little worlds in which spatial and temporal forces are brought out amplified, magnified, isolated, made plain. Even perhaps exaggerated – for that means literally to ‘heap into a pile’, like the “one single catastrophe” that Benjamin famously placed before Klee’s Angelus Novus. Benjamin’s method in looking at things, at the things he blasts out of the continuum of time and space, condenses the forces operative in the Now, in the moment, but in relation to what has been, as well as what might have been. The Arcades, for example, depict a microworld that Benjamin observed and explored, but also brought into being, reconstructed in a certain fashion in words. In these microworlds, like in our larger world, contradictions concentrate. Nationalism and internationalism was one important contradiction projected into the arcade as microcosm - the future of which was being fought over in Spain as Benjamin wrote his Arcades jottings in the 1930s. 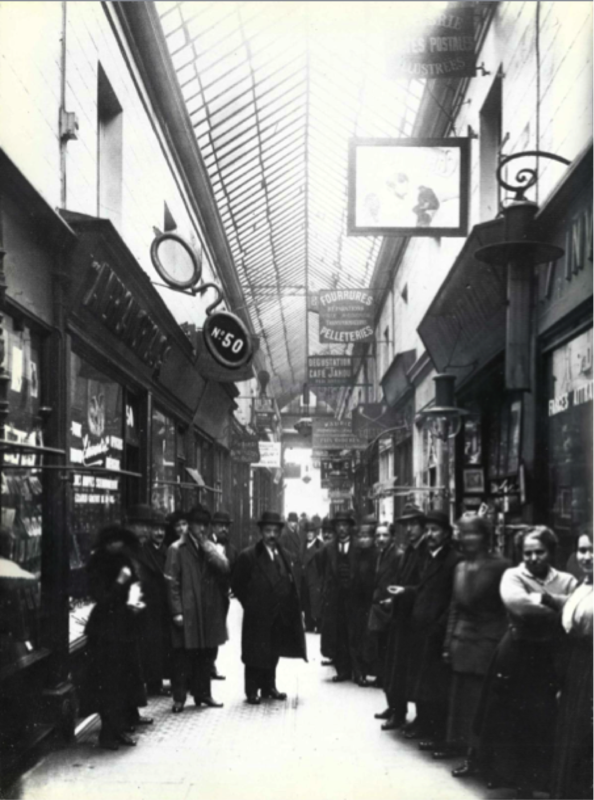 The arcade – a glass and iron covered walkway between streets, lined with upmarket shops and cafes, and inhabited variously by flâneurs, shoppers and the demi-monde - was a significant space in which modern life took form. It incubated modes of behaviour that would come to figure more prominently as one century passed into the next: distraction, shopping as leisure activity, seduction by the commodity spectacle, look-don’t-touch-display and flamboyant self-display. The arcades were an international architectural form, and they were crammed with colonial plunder. The empire provided the impulse for an expansion in commodity production, in terms of new sources of raw materials that could be worked over and sold off in the newly established markets and zones of influence. But the effects of Empire also reflect back on the imperialist nations, not least by providing the raw materials of a burgeoning commodity market. Imperialism gripped the world as totality - a total market and completely exploitable productive source. Imperialism was unifying the world through trade routes and commodity exchange or plunder. The first arcades were built, indeed, in Paris for Napoleon’s return from the Egyptian campaign. Such a microcosm might serve as a canvas for dreamy reflection on worlds far brought near, mediated by the commodity fetish or the spectacle of distraction. Imperialism was a tremendous source for the spectacular. In December 1885, for 2 years, the new German protectorate of Cameroon appeared as spectacle in Berlin, then Dresden and Munich, in a Panorama by Louis Braun. A colonial panorama, a wraparound painting 115 metres long, under floodlights, showed a sultry sky, palm and banana trees, with the German navy attacking, chasing, wounding and killing rebellious Negroes. Benjamin writes of its sister entity, the Imperial Panorama, where distant lands, lands that were being captured militarily or economically, were briefly brought into view for education, entertainment and profit. There is the Place du Maroc in Belleville; that desolate heap of stones with its rows of tenements became for me, when I happened upon it one Sunday afternoon, not only a Moroccan desert but also, and at the same time, a monument of colonial imperialism; topographic vision intertwined with allegorical meaning in this square, yet not for an instant did it lose its place in the heart of Belleville. But to awaken such a view is something ordinarily reserved for intoxicants. And in such cases, in fact, street names are like intoxicating substances that make our perceptions more stratified and richer in space. One could call the energy by which they transport us into such a state their vertu évocatrice, their evocative power–but that is saying too little; for what is decisive here is not the association but the interpenetration of images. The street name is charged with a new meaning: a poetry available to all; a stratification and amplification of sense and senses, that will cascade, for those who are open to it; a cataract of connections, leading into and out of political historical understanding and emotional truth. 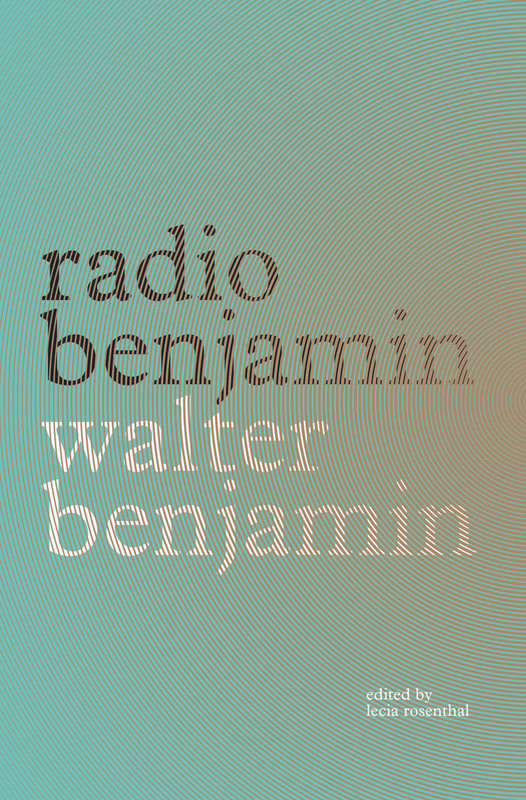 Benjamin draws out of the things he witnesses an interpenetration of images - a montage effect, a dialectical image - which is a concentration of the energies of the world, in their most potent state, amplified because of the constriction of the space that holds them. The microcosm, for Benjamin, is not the self-sufficient world that is closed off from the one within which it resides. Rather it is the miniaturised version of the greater world, a distillation of its negative powers or an enclave, a possible future utopian form both existing within the world and impeded by it. These microcosms that foster imagination and thought expand and are cast wide, like the radio waves that convey the thoughts emanating out from the microcosm of the radio studio, and inducing the children of Berlin and Frankfurt into modes of thinking, perceiving, drawing connections, counteracting the conventional history of their cities, their dialect and their homes, revealing cities within the city, and illuminating their forms. Such a task is undertaken by Benjamin in a lecture for children from 1930. ‘Rental Barracks’ is an exploration of the architecture of Berlin, drawing on the work of Werner Hegemann in Das Steinernde Berlin. It begins by noting how the city’s forms have emerged from military needs. Since the reign of the Hohenzollerns, Berlin has been a military city and, at points, a third of its population was connected to the army, either as soldiers or their dependents. In the early days, the soldiers and their families were billeted in the homes of other Berliners, but by the late eighteenth century there were too many to house this way. Barracks were built for combatants and their families, and all remained inside these structures under virtual house arrest. The architectural solution of the barracks, Benjamin goes on, was adopted across the city, as Frederick the Great commanded the city be built into the sky to house a growing population. The Prussian military state condemned many people to overcrowding, lack of air and light and miserable housing conditions. Worse was to come, in 1858, when the Prussian Ministry of the Interior executed the ‘horrific’ Hobrecht Plan for the development of Berlin. This saw the rental barracks to dominate and the density of housing to increase. The state was loath to purchase private land and instead devised a ‘cunning plan’ to encourage rampant and unregulated private development. In 1871, during the two-year Gründerzeit, a speculative market in large-scale house-building was encouraged, with the idea of expanding the city to 2.1 million inhabitants. When something was actually built, two rules held sway: one, that as many apartments as possible were piled under one roof; and two, that the building looked magnificent from the outside. Especially in the outskirts, so-called boulevards were built that ran from one end of the district to the other and then just fizzled out or terminated in a side street. Even the villas erected there were mostly just disguised rental barracks with basement apartments, cramped sleeping quarters, and scaled back common areas. The vast and pretentious living rooms overlooked the street regardless of whether it ran north, never allowing sunlight to enter the room. The egoism, shortsightedness and arrogance that gave rise to the rental barracks was the order of the day almost everywhere in Berlin until the World War. But this radio lecture ends more hopefully. ‘Since the revolution’, notes Benjamin, housing has improved. In Tempelhof Field, each block in the Garden City has a patch of green. The rental barracks’ stony ‘castle fortresses’, a phrase Benjamin borrows from Adolf Behne’s Neues Wohnen, neues Bauen (1927), are also about to give way to skyscrapers, concrete, steel and glass buildings. 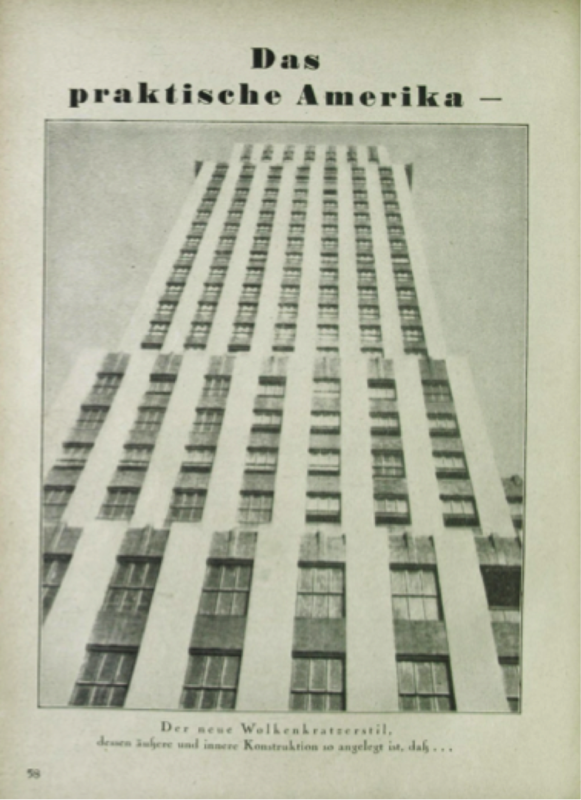 Benjamin refers to this image from the magazine Uhu, from April 1930. These will have platforms and roof gardens, for inhabitants who, he notes, ‘will gradually be transformed by them’, becoming freer, less anxious, less belligerent and endlessly ‘grateful to those who led the struggle for liberation’. A newer plan will come into being and develop Berlin into a city in which a responsible state is compelled to meet the needs of its citizens and develop them in directions that are conducive to their well-being. The state shapes the lives of its citizens, negatively through the generation of laws and 'positively' through the provision of housing and other petty and grand-scale economic manoeuvres. Whatever comes into being after the war, on the back of a revolution, albeit a failed one, appears to provide something better for the people, a reform that re-forms the citizenry. But Benjamin goes further, in a gesture that hovers between the claim that social environments shape consciousness and the notion of technological determinism: the inhabitants of these blocks will be remade, themselves rebuilt, by the new environments, the new materials, the new arrangements, for these transform social and political life. Note how the rental barrack is a little world that is turned inwards, produced by a brutal social form. The skyscraper that enthuses Benjamin is another type of microcosm, turned outwards, glassy, tall. A microcosm might concentrate the negative forces of the world and replicate it in miniature, making it legible for a critical commentator such as Benjamin. Or it might mediate the future possibilities of a new world, be a new world in miniature, having projected into itself democratic energies. What Benjamin sees and remediates are objects or places that allow for an evocation of the obscured negativities and the possible routes – the perspectives perhaps of both the migrant and the refugee. His descriptions of microcosms reveal what makes where we are so bad, what needs to be radically different to make life liveable. Space and time are both concentrated in the microcosm; the forces of reaction gather and burst out from the past into the present. There is, from one perspective, only the ever the same, unbroken, ongoing hell of oppression and exploitation. But time folded in on itself in this way also breaks itself prismatically, scatters out of its innards other times, other ‘thens’ that can become ‘nows’, the possibility of fomenting newness, even newness that is the ever again the same newness that spills from the eyes of the eternal child. Benjamin sees worlds within worlds and times within times. It is a stance that is fundamental to him. In a short piece on Paris for the German Vogue in 1929, he explains that ‘There is an ultra-violet and an infra-red knowledge of this city’. Every city has this extra-sensory aspect – its literary or photographic analogue that shadows, brightens, undermines and overwrites the one of daily inhabitation. This ultraviolet and infrared knowledge would wish to provide other endings and other beginnings for Benjamin: no death on the border; a completed manuscript rather than the rumour of one; and a city that might not have spat him out to wander on. And yet, there is still more to discover. We do not need to keep writing fantasies of Benjamin’s other possible lives. We have discovered him more recently as radio adept, as pedagogue, as writer of short stories and poems and riddles. 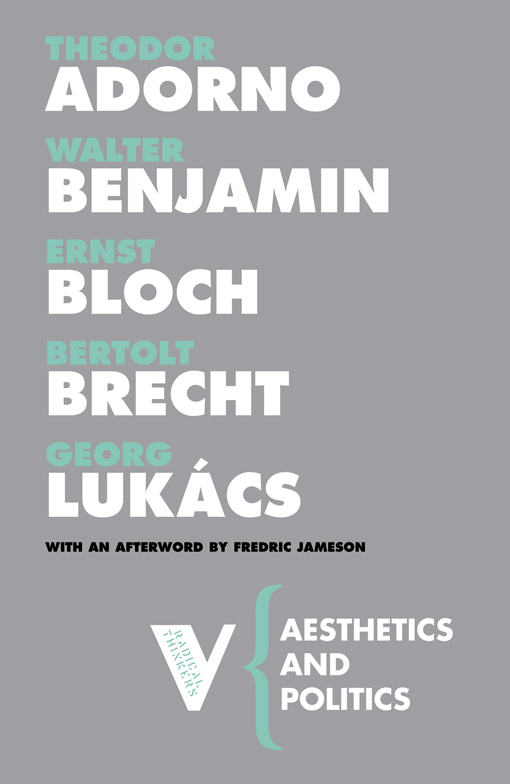 We add these other facets to Benjamin the collector, the sociologist, the allegorist, the literary critic, the diarist, the father, the mystic, the Marxist, the postmodern, the deconstructionist, the Jew, the flâneur, the student activist and terrorist, the bungler, the victim…. These new Benjamins emerge from publishing ventures, from the effort to recut the existing fabric and repackage it, as well as to extend it, finding pieces that have remained in the shadows or were unvalued. If you have a concept, then value can be generated. And this process of revaluing, of blasting never-before-wanted contents into the light might come from anywhere. This is still true, now more than ever. 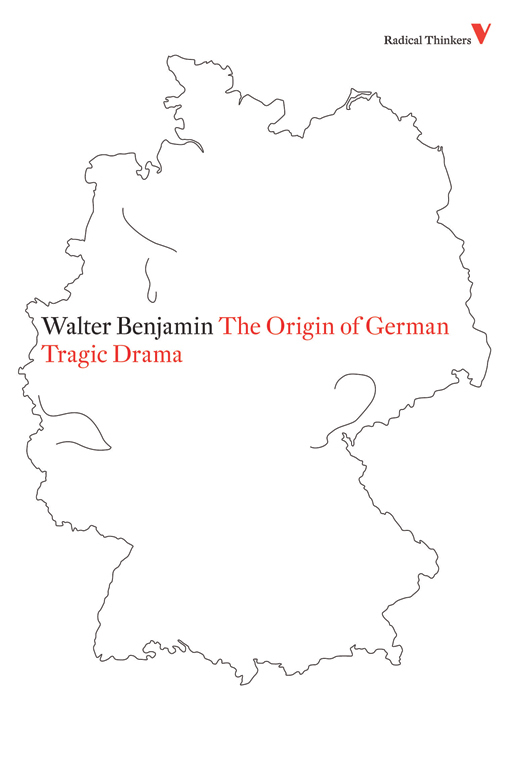 Since Benjamin’s writings in German entered the public domain in 2011, there are countless editions of his work, online, real books, Kindle books, as well as thematic, random, commentated, free and wild collections. He is virtually viral. His words proliferate unchecked through the web. Elsewhere, elegant and philosophical editions of his texts are more laboriously born in the world. We come now to Benjamin’s death – and that of his last companions. Benjamin was unlucky. The very day he arrived at the border between France and Spain, orders were sent for it to be closed. If he and his party of refugees had arrived a day earlier, they would not have been declined entry to Spain. Benjamin, stateless since 1939, was broken by time in an internment camp and by a walk through mountains that exhausted a man in such poor health. He held documents for the US, but he had no French exit visa. He reached the impassable border. 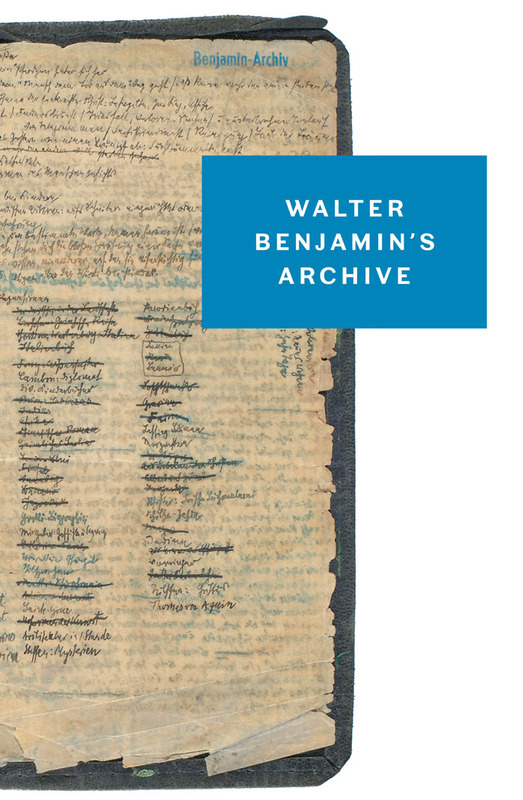 The story of what happens next, on this day, 75 years ago, is well known, though the documents that relate it are muddied and partial and mystery surrounds the death – a mystery exploited by the film ‘Who Killed Walter Benjamin’ by David Mauas. But let us turn to what remains, if not of him, then of the memory of him, there in Port Bou. 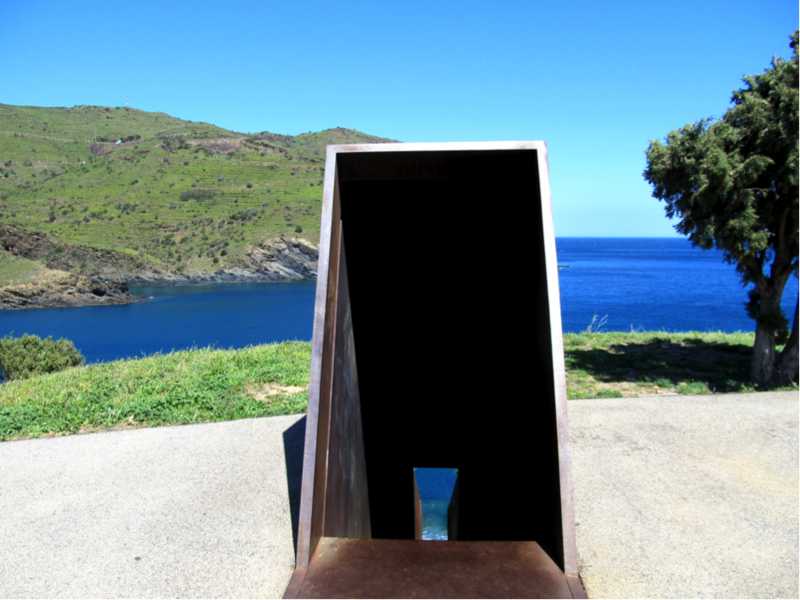 Dani Karavan’s memorial to Benjamin in the town where he committed suicide deploys the idiom of the post-conceptual memorial as artwork. A narrow shaft leads one down to the perilous sea, in order to make us think about loss, danger, death. Etched on the glass of the memorial is, in several languages, a phrase from Benjamin, which observes: ‘It is more arduous to honour the memory of the nameless than that of the renowned. Historical construction is devoted to the memory of the nameless.’ This line from Benjamin’s notes at the end of his life insists that the oppressed are constantly robbed of their history and their memory is always ‘in danger’ of eradication, undermined, as he puts it, ‘in favour of the grand and official narratives of power’, the ‘triumphal procession in which today’s rulers tread over those who are sprawled underfoot’, whereby historical memory is ‘handed over as the tool of the ruling classes’. In the preparatory note for ‘On the Concept of History’, Benjamin criticizes historical recounting that depends on reciting the antics of glorious heroes of history in monumental and epic form, and is in no position to say anything about the ‘nameless’, those who are the toilers in history, as much as those who suffer the effects of others’ brutal historical agency. Benjamin’s own mode of ‘historical construction’ is devoted to the memory of the nameless. It is able to remember the repressed of history who were its victims and its unacknowledged makers. Benjamin constructs a re-visioning of the past, wherein the historian bears witness to an endless brutality committed against the ‘oppressed’. This, he understands, to have been Marx’s task in Das Kapital. Benjamin reads the book as an anti-epic memorial, pulsating in the present, insisting on redress. Marx’s sketch of the lot of labour is presented as a counter-balance to the obfuscation of genuine historical experience. Marx memorializes the labour of the nameless, whose suffering and energy produced ‘wealth’ in all its forms, including in the vast accumulations of commodities. Karavan’s memorial to Benjamin acts as a memorial to those others, to those many, who were victims of the European facisms. Where Benjamin passed through one way into Spain towards America, others has fled the other way, escaping Franco for France. The movements are many. The movers are many. They have not stopped moving. To bring this into the Now – Walter Benjamin’s Now – we are surrounded by, yet kept far from, the many millions of nameless movers. And the arbitrariness of whether one is able to cross from one day to the next has not changed - or rather it bursts back into our present. Karavan’s memorial to Benjamin acts now, more than ever, as a memorial to those others who are still moving. It always struck me that its view down onto the swirling Mediterranean sea might confuse casual viewers who would think that it was there that Benjamin met his death, rather than in some grimy hotel room in the town. 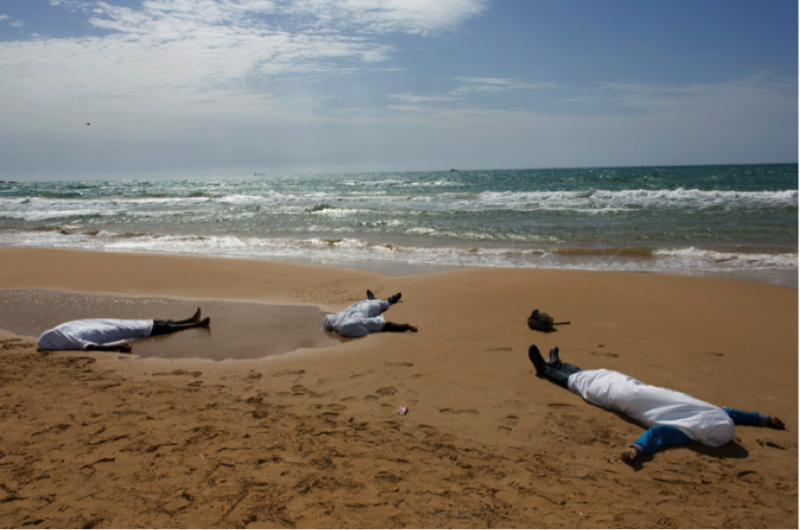 But today that body of Mediterranean water, not so far away, does consume the bodies of migrants and refugees - of people. And they are compelled to flee in their millions.